Who plowed agriculture, was superior to the hunter because he could feed more people with his work force. Who had a mechanical loom, destroyed the inherited craft of weaving. And who can handle particularly light materials today, beats the competitors in the automotive industry. Similarly, the in fashion industry he has the edge, who can better sense the trends of tomorrow. Everywhere fast beats slow, industrious beats lazy, the wise outdoes the fool, thus always creating more inequality. Equality ideology can not accept that men and women are born with different preferences that result in different life outcomes. They will not relax until women are half of all CEO’s of German Top industries. Even morally motivated actions are more successful when supported by the above cited "secondary virtues". Hate against these virtues stems from hate against the successful, and German self hate. More and more we will lack qualified young people to fill the vacant jobs of the elders, thus endangering the success of the German economy. Bild.de pre-printed a 2 part preview. The German Book will be published on February 24, 2014. We will report more in a few days. 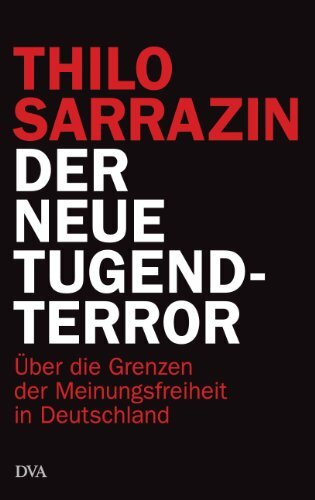 Thilo Sarrazin‘s prior best selling books were German auto-destruction and the Euro-lie. Sarrazin was a leading official in the German Central bank until he was forced out for his opinions.